Bulk bag repair tape can be used to repair minor damages to bulk bags. 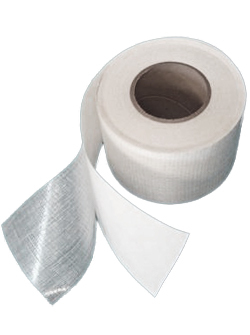 We offer a woven polypropylene fabric tape that has a peel-off backing for ease of use, and a high strength adhesive that’s suitable for industrial use. Repair tape is sold by the whole roll only at 4” x 36 yards. Contact our product specialists at (800) 645-3183 to order repair tape.